CT2427 - Sleek modern design. Translucent barrel with sculpted rubber grip for writing comfort. 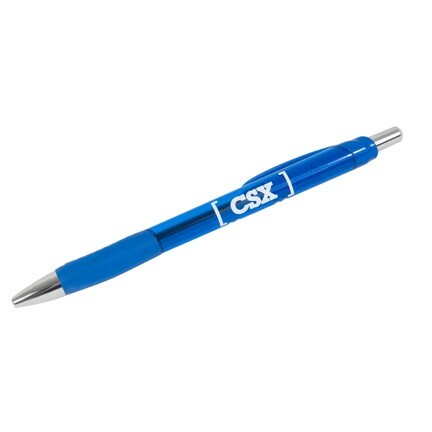 Bright blue with chrome accents and white CSX railcar logo. Super smooth writing hybrid blue ink.